There is no other vehicle on the market that delivers the way that the Jeep Wrangler does. 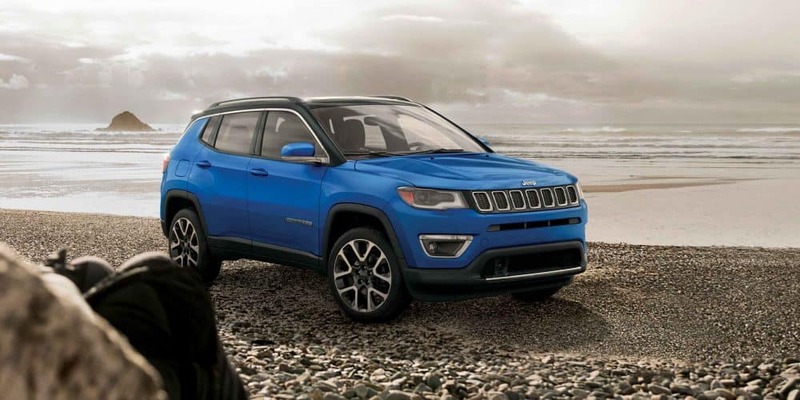 This iconic off-roading machine is capable both on and off the road with a mountain of features that will keep you connected, comfortable, and safe! The Wrangler is entering the new model year with all kind of enhancements and new features. There is a new mild-hybrid system available for the four-cylinder engine and driver assistance features like Forward Collision Warning and Adaptive Cruise Control are available! There is so much more to talk about when it comes to the 2019 Jeep Wrangler so keep reading our review below. Can you highlight some of the features? The two-door, four-passenger Wrangler is offered in three trim levels while the four-door five-passenger Wrangler Unlimited is available in an additional fourth trim level. Each trim level is outfitted with the signature features that make the Wrangler so iconic! They include the round headlamps, seven-slot grille, trapezoidal wheel arches, exposed hinges and removable doors, removable roof options, and fold-down windshield. No other vehicle on the market offers open-air freedom quite like the Wrangler! The fourth-generation Uconnect system is available on both a 7-inch and available 8.4-inch touchscreen and comes outfitted with smartphone integration in the form of Apple CarPlay and Android Auto. All Sport models come outfitted with a 5-inch touchscreen. Plus, the Wrangler offers a total of eleven exterior color options including the brand new addition: Bikini! Can you tell me about my engine options? There are two engine options available for the 2019 Jeep Wrangler. 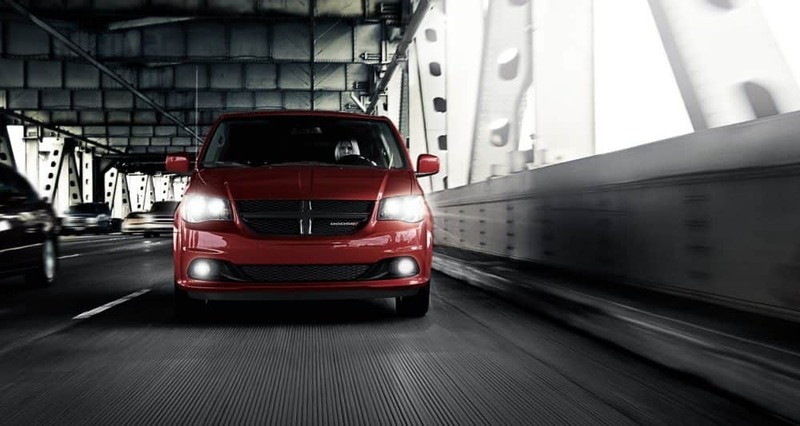 The first, an award-winning 3.6-liter Pentastar V6, pumps out 260 pound-feet of torque and 285 horsepower! This engine was created by FCA to deliver a broad torque band to drivers! The second engine offered for the new model year is a turbocharged 2.0-liter 4-cylinder that generates 295 pound-feet of torque and 270 horsepower. This engine is outfitted with the eTorque mild-hybrid system for the 2019 model year. This technology helps reduce the Wrangler's impact on the environment and boost the fuel economy to help save you fuel and money! To tackle the toughest terrains, the Wrangler comes outfitted with best-in-class approach, breakover, and departure angles and there are two different 4x4 systems to choose from depending on the model that you opt for! Is the Wrangler a safe SUV? To keep you safe on the road and on the trail, the Wrangler offers more than 75 safety and security features for the 2019 model year! Safety starts from the beginning of production with a high-strength steel frame outfitted with high-strength steel beams for improved side-impact protection to advanced airbags installed throughout the cabin. Stand out driver assistance features include blind-spot monitoring and rear cross path detection to help you stay alert on the highway and change lanes with ease, the Parkview Rear Backup Camera, available rear parking assistance system, passive entry system, a full-size spare tire and tire pressure monitoring system, and SOS call assist buttons. We take pride in offering this incredible safety and secure vehicle so you can take your adventures to the next level with peace of mind! 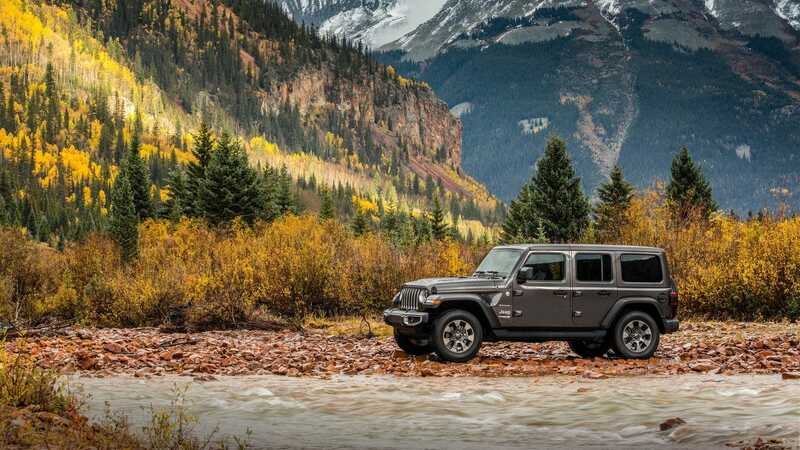 The 2019 Jeep Wrangler is an iconic SUV, recognizable around the world! Ready to check one out in person? Come on down to the dealership and see it in person, try out all the fantastic features, and see just how capable it is for yourself! We have a wide variety of Wrangler models in stock today, come find yours!